Hope everyone had a lovely Thanksgiving! I'm a day late with this check-in because of the illustrious holiday, but it was such a wonderful holiday this year and I didn't work (Yay!) so it was extra special for me. I haven't had any time to read, as work has been a mess so I may have to be content to just host this time (which I love doing and wouldn't change) and hope to get some Christmas reading in for the reading challenge. How is your reading going? I hope you're enjoying it. Feel free to update me in the comments or leave a link to an update post. I was very generously offered two eBook copies of the Christmas horror novella, Twelfth Night Krampus from Erin at Oh, For the Hook of a Book. Although this is horror, it is based on an East European legend (see below). "An adult fairytale well told in the best Grimm tradition. As with the Dark Servant, the author draws on the old German/Austrian/East European traditions of the Santa Claus’s demon helper. In the folk tales, Krampus punishes naughty children. Manochio keeps faith with the tradition but develops it and presents us with a new classic tale for Christmas. Here the equally bloody and demonic Frau Perchta – also hellbent on punishing those who have transgressed in her eyes – finds herself directly competing against Krampus. This is a macabre, dark tale with a timeless quality about it. An atmospheric landscape, complete with Bavarian castle; characters that could have stepped out from your worst nightmares. Loved this. It kept me thoroughly and enjoyably entertained in a dark, scary way. " Standing in her way—beyond towering walls and crossbow-toting guards—are Saint Nicholas’s demonic helper, Krampus, and Frau Perchta, a belly-slitting hag who prowls the countryside during First Night festivities to punish naughty teens. Beate wants out. Krampus and Frau Perchta want in, determined to breach the castle to snag their prey. Beate has no idea why these monsters want her, but she must use her wits to save herself from horrors both human and inhuman—lest she wind up like Gisela. Please enter for the above giveaways in the form below. You will be able to mark your choice of which you want to enter for. This giveaway is only open to read-a-thon participants. I'm late...again. Had to help my son finish a school project. One of those 11th hour kind of things. I'm sure many of you can relate. Kids! 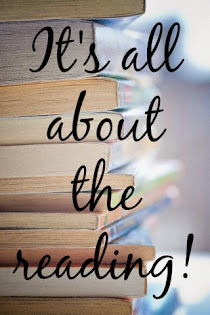 Anyhoo...let's get this holiday reading season going!!! You do not have to have a blog. Join us from Twitter, Facebook or Goodreads...or in our Facebook group. 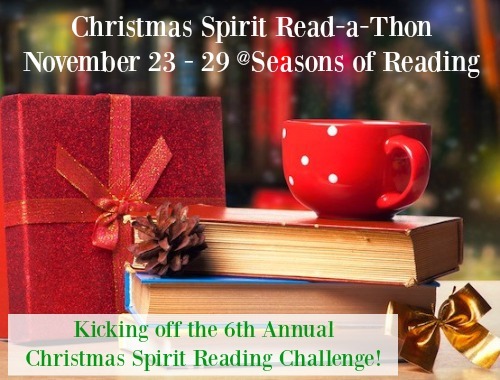 If you're on Twitter, stop by and chat with the hashtag #CSReadathon No official chats are scheduled, but I'm sure people will be hanging out or stopping by. Maybe we can share a cup of cocoa or spiced cider. Yum! 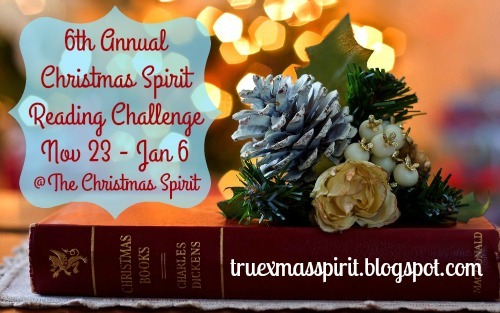 If you haven't already, why not join us for the Christmas Spirit Reading Challenge, which runs all season long, you can do so at my Christmas blog, The Christmas Spirit. Would love to have you! Also, my season long Christmas event kicks off over there on November 25. I'm looking for guests so if you love Christmas and want to be my guest to tell us why (anything goes...favorite movies, books, family memories, traditions), please stop by over there and leave me a message in the contact form. Can you tell Christmas is my favorite time of year? Yup, I love it!! !